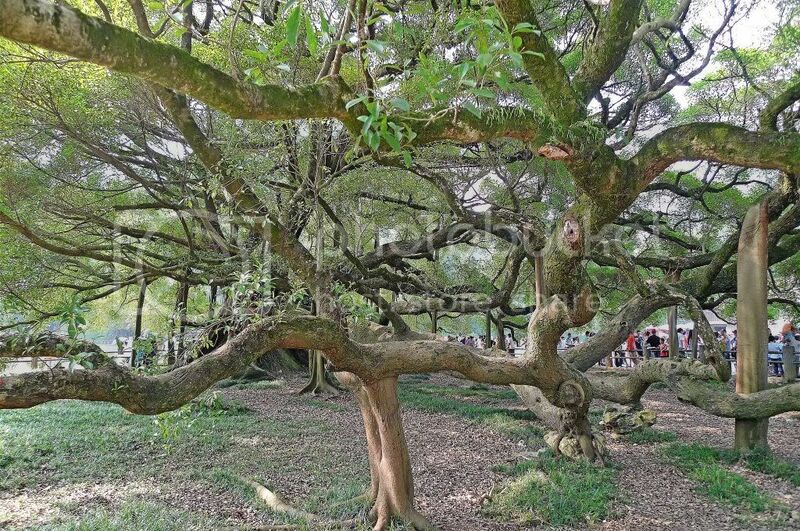 After visiting the Jian Shan Temple, the tour bus brought us to our next destination which was The Big Banyan Tree, or Da Rong Shu in Mandarin. 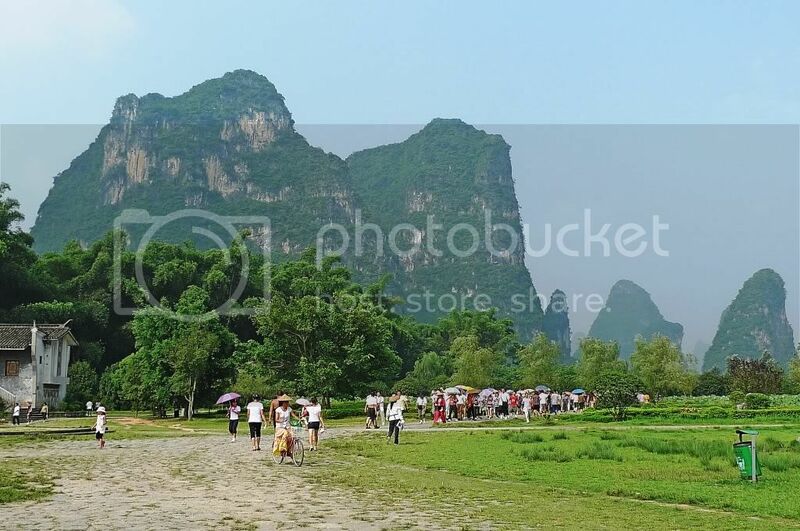 Located by the west bank of Jinbao River in the Moon Hill scenic area, about 7 km south of Yangshuo, it was a major tourist attraction in Yangshuo County. When I first heard about this Big Banyan Tree, I was like, what? We are going to travel all the way to look at a tree? Are you kidding me? But it was no ordinary tree! Take a look! Standing at about 17 metres high and measuring about 7 metres in diameter around the trunk, the tree was an amazing sight! Can you see those beautifully twisted roots and thick, gnarled branches? I walked round the huge tree to take photos. Did you know that the whole tree covered an amazing 1,000 square metres? First planted during the Sui Dynasty (581 - 618), the tree had survived wind and rain for over 1,400 years! Looking closely, I could see the stems and branches were very old and I could not imagine it had endured the ravages of nature for centuries! I found that the tree provided a good shelter from the hot weather and the burning sun. With its thick branches and lush leaves stretching out, the sun could hardly penetrate through. It felt really good standing under the tree! 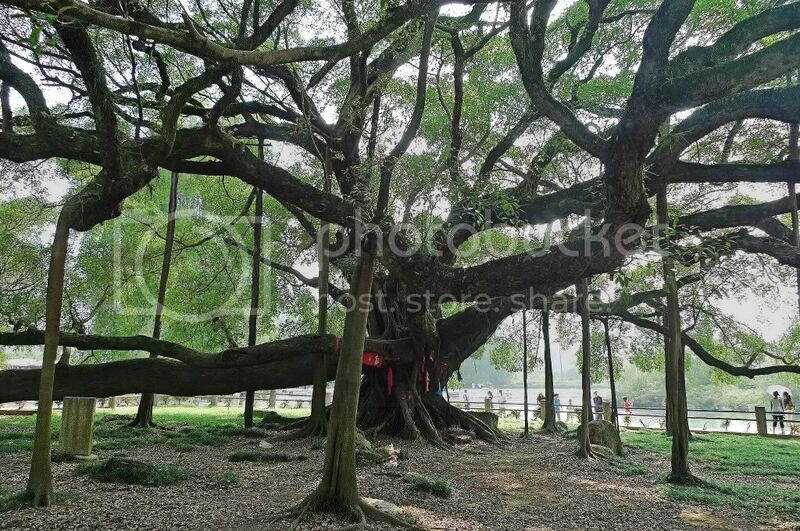 This Big Banyan Tree became a major tourist attraction after a scene from the famous old movie "The Third Sister Liu" (or "Liu Sanjie" in Mandarin) was filmed here. I have to admit I have not seen the movie before so I did not know the exact spot where the title character Liu Sanjie expressed her affection to her lover. But I did see the very famous "Impression Liu Sanjie" live show during our stay in Yangshuo and I can tell you it was almost as amazing as the 2008 Beijing Olympics Opening Ceremony! I shall blog about this show in future! Besides the Big Banyan Tree, I took some photos of the surrounding area. It was actually quite beautiful, with a lot of hills all around. But there were also quite a lot of tourists! 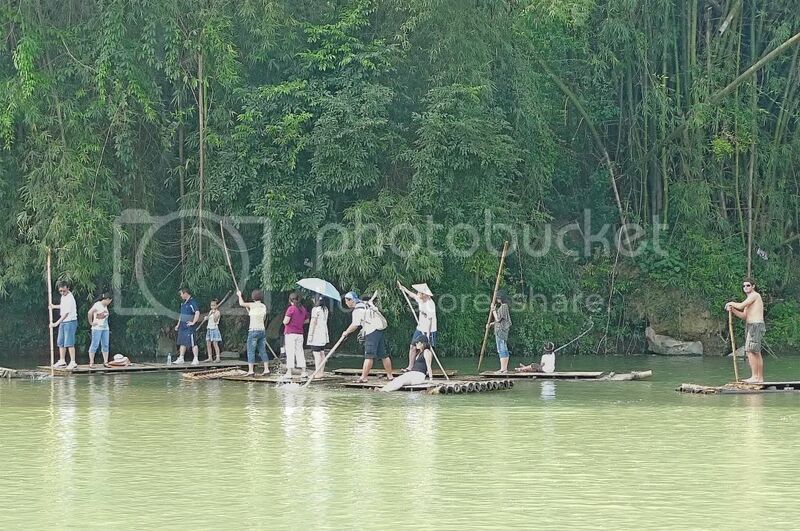 Along the Jinbao River, there were people rafting. I felt like crossing the river to the opposite side to explore the cave-like structure, but it was not on our tour's itinerary and with limited time, we had to move on. Amazing tree! I can't comprehend how it was able to survive 1,400 years and still looks great! That is an amazing tree, Foong. Wonders never cease. That last picture is very interesting. hmm, i wish i can visit china soon! not sure can make it to bali or bangkok for this year as bali is kinda risky at the moment and bangkok will have a celebration there. heard people die every year? lol. That tree does look amazing! OMG, that tree is just so amazing!! it's huge, and 1400 years old, unbelievable!! I love going to China, always got lots of story and history to listen. I'm sure you can be a good tour guide after all these details! You know, many people recommend us to visit China. 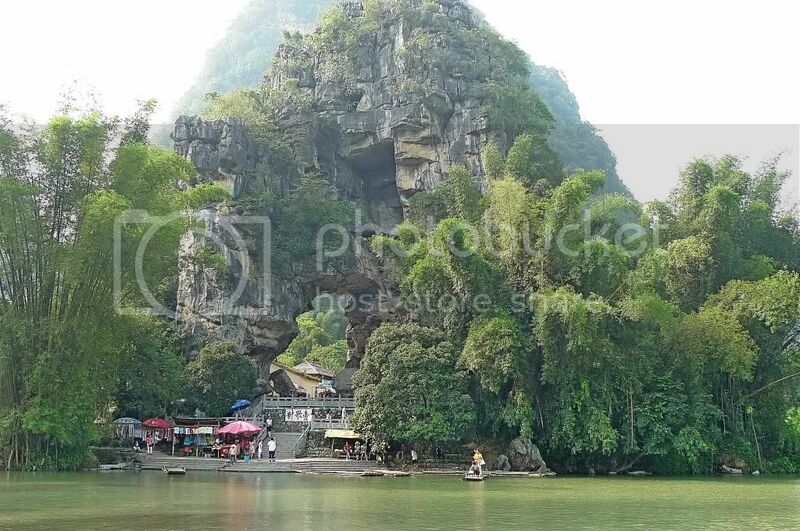 Based on your photos, no doubt China is beautiful. The trees? YEs, I will wonder too if people want me to see trees. But like u said, the trees are really beutiful. Furthermore they live longer than us. Thanks for sharing! It's awesome! Can we find this tree in Malaysia? wah.. that tree is pretty leh...!!! one of the amazing stuff on earth --> I said one..
darn...the tree is so huge ler. thanks for sharing with us with ur trip pics. btw, HP is quite stable compare to Dell....so far no major issues. Yeah! I can see the beautiful roots! Amazing. How on earth this could happen? Wow covering 1000SM? War...that is indeed huge huh! 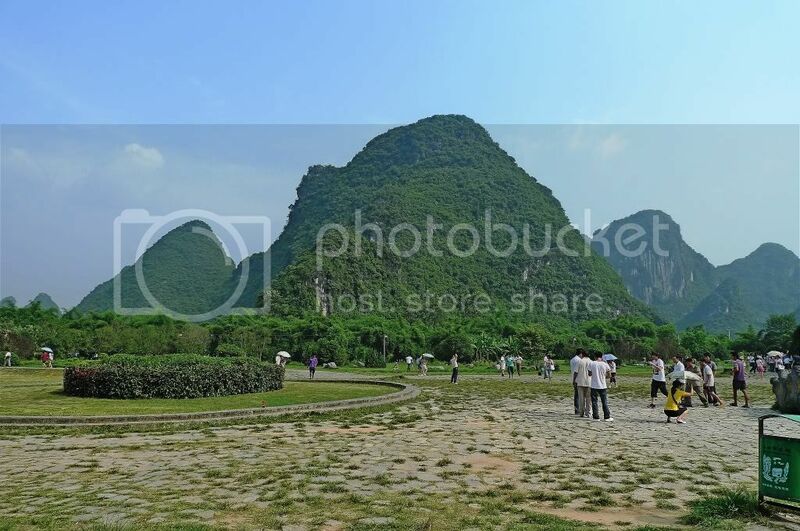 Wow, foong your blog is fast becoming a photo blog! So many photos. Honestly I like your photos as they are crisp, clear and maybe unedited? I wish I was there to experience the place - clearly photos aren't enough to do justice to the place. WHAT???? 1,400 years old? OMG! Serious? OMG! I could have reincarnated like...20 times? Unbelievable! Wow, that is one big and old banyan tree. Can film Kung fu movie under it! LOL! Wow that tree is amazing, never seen one before Foong, thanks for sharing! Reminds me of the enchanted forest in enid blyton story book last time! that tree can be noted as magnificent! Imagine withstanding the forces of nature all throughout the years! i wonder why your pics take forever to load. i can't view some of your pics. the tree is amazingly unique. i've not come across one before. thanks for the snippets. it sure looks cooling and comforting to be standing under such giant tree. I can't see some of your pics Foong! I don't know why..
Oh the tree looks so grand! so gorgeous! I wonder why Malaysia got no such things! The place look so kampung-ish :P.
But I am still in awe by the tree! That tree is really awesome! psstt.. I was beginning to wonder when this celebrity-blogger status will take its toll..
Wow the tree is HUGE! Definitely worth the visit. And the cave... looks interesting from afar. merryn, haha! The older the better? And don't apply to guys? LOL! tekkaus, yeah, so big right? The branches seem to extend all the way out far from its trunk! tekkaus, yes unbelievable it's 1,400 years old right? Yes you could have reincarnated more than 20 times! Haha! Yes, should search for this old "Liu Sanjie" movie to watch! 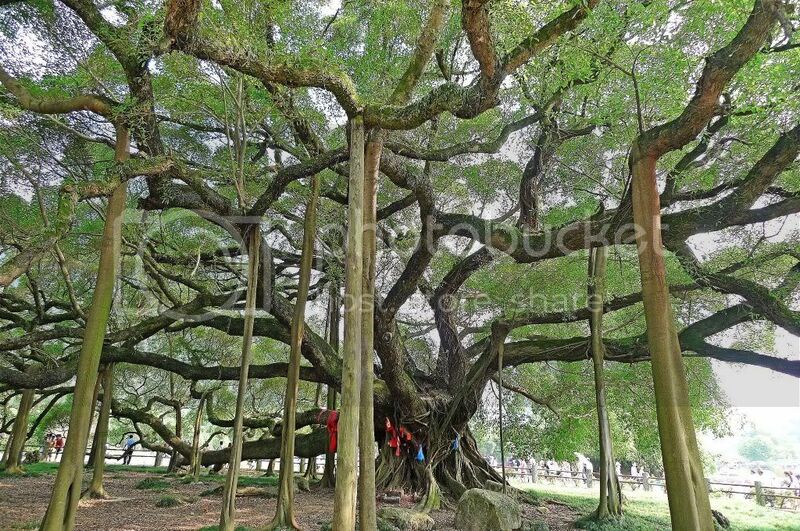 See how the big banyan tree looked like back then! If I were to cross that river, I don't mind sitting on the raft provided someone help to steer it! haha! JL, thanks! I don't think my blog has turned into a photo blog just yet! Haha! Oh, now you switched camp and recommend Intense Debate instead? Where's your loyalty to JS Kit? haha! Just kidding! I will use Intense Debate when I start another blog. For this blog, I will stick to this present system. Thanks for the recommendation! life ramblings, took forever to load? I don't know why! Sorry about that! Return next time to view the photos - I'm sure it'll be OK next time! lina, yeah, so ancient! Like Tekkaus said, he already reincarnated 20 times and the tree is still standing there! haha! ladyviral, the place looked kampong-ish? Well, that's because we were not in the city! haha! Oh, Banyan Tree Resorts - I've heard about that resorts before! che-cheh, yeah it's worth visiting! The cave sure looked interesting to me, but too bad didn't visit it! you have one great blog! the banyan tree is humongous! and the river sure looks inviting, too bad it was not in your itenerary to explore the cave. however, i can tell you had fun travelling. nice photos! foong, we haven't decided where to go yet with the current situation like h1n1 and controversy in indonesia. 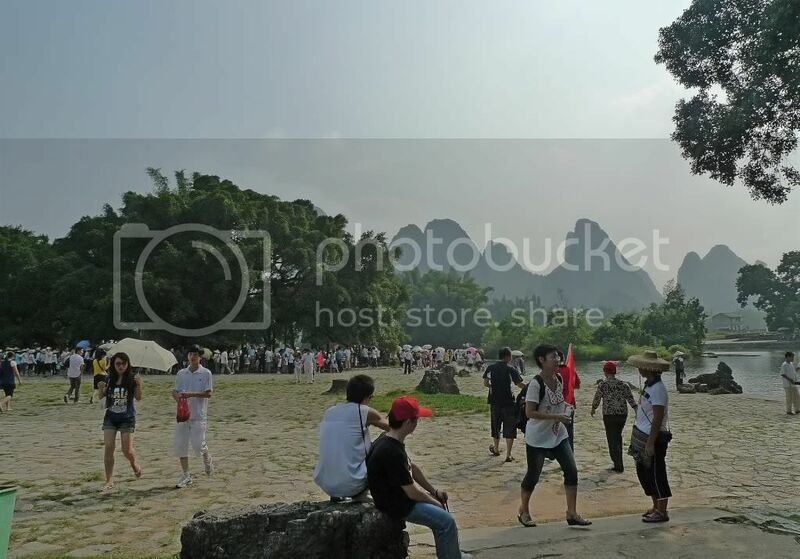 Guilin cheap for air asia ma... I wanted to go le..
Oh, nice pictures and scenery. That bayan tree definely is unique. Bayan tree....never see in real life before....hopefully i got chance to do it soon~ =___="
How does it feel as compare to see it in picture? Syiokkk??! I saw a tree like this in Hawaii in Lanai in the middle of the town. 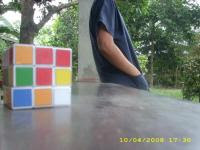 I am still so intrigued with it and love all your pictures! You are the best to always share your adventures! It's not a big banyan tree. It's a Godzilla-gantic banyan tree! haha..godzilla.. i almost forgotten that name..
the tree is huge. i wud have difficulty putting it all in one frame lol. glad u had great time there. water rafting in such a nice place seems really fun! but none of them was wearing the vest...? hmmmm safe? Those trees are unusual. The weather looks quite warm. Was it humid too? almost surreal, looking at those branches, amidst the 'dance' around the trunk. Well Foong! did you tie a yellow ribbon round the old banyan tree, it's been one thousand four hundred years and you still get to see? Incredible, thanks for sharing, very interesting !!! annant, yes you are right! I know exactly what you are talking about cos I also watch a lot of TVB dramas! haha! health nut wannabee mom, there's a tree like this in Hawaii? Interesting! I have yet to see this type of tree in my country Malaysia! xin, I don't think they really care about safety there! All my water activities did not require us to wear life jackets! And I don't know how to swim! ai shiang, yes rather unusual tree right? You don't normally see this kind of tree. The weather is hot and rather humid, but I think it's not as humid as Malaysia.